jfuzzylite 6.0 is licensed under the GNU General Public License (GPL) 3.0. You are strongly encouraged to support the development of the FuzzyLite Libraries by purchasing a license of QtFuzzyLite 6. QtFuzzyLite 6 is the new and (very likely) the best graphical user interface available to easily design and directly operate fuzzy logic controllers in real time. Available for Windows, Mac, and Linux, its goal is to significantly speed up the design of your fuzzy logic controllers, while providing a very useful, functional and beautiful user interface. Please, download it and check it out for free at www.fuzzylite.com/downloads/. 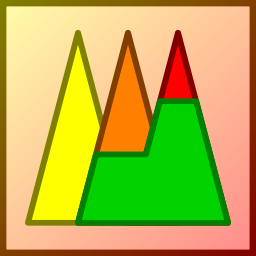 jfuzzylite is a free and open-source fuzzy logic control library programmed in Java for multiple platforms (e.g., Windows, Linux, Mac, Android). fuzzylite is the equivalent library written in C++ for Windows, Linux, Mac, iOS, and others. Together, they are the FuzzyLite Libraries for Fuzzy Logic Control. The goal of the FuzzyLite Libraries is to easily design and efficiently operate fuzzy logic controllers following an object-oriented programming model without relying on external libraries. Juan Rada-Vilela. fuzzylite: a fuzzy logic control library, 2017. URL http://fuzzylite.com/. The documentation for the fuzzylite library is available at: www.fuzzylite.com/documentation/. (21) Linguistic terms: (4) Basic: triangle, trapezoid, rectangle, discrete. (9) Extended: bell, cosine, gaussian, gaussian product, pi-shape, sigmoid difference, sigmoid product, spike. (5) Edges: binary, concave, ramp, sigmoid, s-shape, z-shape. (3) Functions: constant, linear, function. (7) Activation methods: general, proportional, threshold, first, last, lowest, highest. (8) Conjunction and Implication (T-Norms): minimum, algebraic product, bounded difference, drastic product, einstein product, hamacher product, nilpotent minimum, function. (10) Disjunction and Aggregation (S-Norms): maximum, algebraic sum, bounded sum, drastic sum, einstein sum, hamacher sum, nilpotent maximum, normalized sum, unbounded sum, function. (7) Defuzzifiers: (5) Integral: centroid, bisector, smallest of maximum, largest of maximum, mean of maximum. (2) Weighted: weighted average, weighted sum. (7) Hedges: any, not, extremely, seldom, somewhat, very, function. (3) Importers: FuzzyLite Language fll, Fuzzy Inference System fis, Fuzzy Control Language fcl. (7) Exporters: C++, Java, FuzzyLite Language fll, FuzzyLite Dataset fld, R script, Fuzzy Inference System fis, Fuzzy Control Language fcl. (30+) Examples of Mamdani, Takagi-Sugeno, Tsukamoto, and Hybrid controllers from fuzzylite, Octave, and Matlab, each included in the following formats: C++, Java, fll, fld, R, fis, and fcl. Building from source requires you to have either Maven or Ant installed. The Maven script will create the library target/jfuzzylite-6.0.jar and the source code target/jfuzzylite-6.0-sources.jar. The Ant script will create the library target/jfuzzylite-6.0.jar. The source code of jfuzzylite is very well documented using doxygen formatting, and the documentation is available at fuzzylite.com/documentation. If you want to generate the documentation locally, you can produce the html documentation from the file Doxyfile using the command line: doxygen Doxyfile. The documentation will be created in the documentation folder. The FuzzyLite Libraries, namely fuzzylite and jfuzzylite, both in version 6.0, are licensed under the GNU General Public License version 3 and a private commercial license. Refactored the following names for the operation of engines: from activation operator to implication operator, from accumulation operator to aggregation operator. Renamed the term Accumulated to Aggregated. New activation methods decouple the activation of rules from the rule block and provide different methods for activating rules (see Activation Methods). New class ActivationFactory provides a factory of activation methods. New class Benchmark to evaluate the performance and accuracy of engines. New class RScriptExporter to export the surfaces of an engine using the ggplot2 library. New class Binary term for binary edges. New UnboundedSum S-Norm in SNormFactory. New classes SNormFunction and TNormFunction to create custom functions on any two values using the Function class. Privatized previously protected members of classes and subclasses of Term, Variable, Rule, Defuzzifier, [Cloning|Construction]Factory, Importer, Exporter, amongst others. Added some unit tests and support for future unit tests. New example of hybrid engines. New example on obstacle avoidance for Mamdani, Takagi-Sugeno, and Hybrid engines. New R scripts for each example and its respective surfaces in pdf formats. Fixed bug computing the NormalizedSum S-Norm. Fixed bug in Function term. Bug: given a formula = “tan(y)” and a map[“y”] = 1.0, and executing Function::load(formula), then the map of variables is reset because load() calls unload() first, causing the deregistration of variable y. Solution: Removed method unload() from load(), thereby causing future load() not to reset variables. Fixed bug in Function when enclosing variable in double parenthesis.